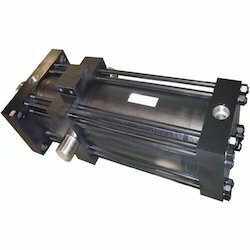 We are instrumental in trading and supplying a supreme quality range of Hydraulic Cylinder. Extensively used for various industrial, Agriculture, Earthmoving & Automobile works. 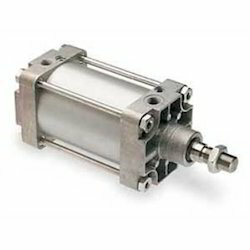 Dura-Cyl is a medium or high pressure cylinder (230-350 psig/15.9-24.1 bar) for gas applications. The Dura-Cyl provides the longest holding time, lowest evaporation rate, highest gas-withdrawal rate and best life-cycle cost (180 to 265 liter sizes available). Since we have established our base in this highly competitive industry, we are readily engrossed in the arena of presenting High Pressure Cylinders. We are instrumental in trading and supplying a supreme quality range of Hydraulic Cylinder.Uses:Extensively used for various industrial, Agriculture, Earthmoving & Automobile works. High pressure seamless cylinders having water capacity of 50 liters and filling pressure of 200 bar. We take pleasure in introducing ourselves as leading firm by offering High Pressure Gas Cylinder. Precisely designed and developed using quality components, our High Pressure Hydraulic Cylinder is in conformation with the internationalquality standards. We are the largest supplier of high-pressure seamless steel gas cylinders, offers an expanding range of high-quality gas cylinders for industrial gas applications, Medical gas application and firefighting applications in India. All cylinders are as per ISI Standard IS:7285(part 2). Smart Hydrolink Equipment Pvt. Ltd.